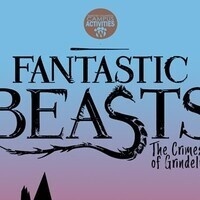 Come enjoy Fantastic Beasts: The Crimes of Grindelwald at Ronnie's Movie Theater Thursday, November 15th from 11:30pm - 1:30am. Sign up for just $5 at UC Info Desk! Transportation is required!